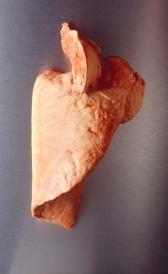 Raw veal lungs: Raw veal lungs is low in total lipid, carbohydrate and total dietary fiber. Braised veal lungs: In this food there are some nutrients that are found in low quantity, for example carbohydrate, total dietary fiber and total sugars. Raw lamb pancreas: This food is low in carbohydrate, total dietary fiber and total sugars but Raw lamb pancreas has phosphorus, selenium and vitamin b12 in high quantity. Raw veal pancreas: High in phosphorus, zinc and vitamin b12 and low in carbohydrate, total dietary fiber and total sugars. Raw lamb spleen: This food is low in carbohydrate, total dietary fiber and total sugars but Raw lamb spleen has iron, zinc and selenium in high quantity. Raw veal spleen: High in iron, phosphorus and selenium and low in total lipid, carbohydrate and total dietary fiber. Raw veal thymus: This food is low in carbohydrate, total dietary fiber and total sugars but Raw veal thymus has phosphorus and vitamin c in high quantity. Raw lamb tongue: High in vitamin b12 and monounsaturated fatty acids and low in carbohydrate, total dietary fiber and total sugars. Raw veal tongue: This food is low in carbohydrate, total dietary fiber and total sugars but Raw veal tongue has zinc and vitamin b12 in high quantity. 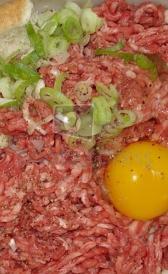 Raw lamb ground: High in total lipid, zinc and niacin and low in carbohydrate, total dietary fiber and total sugars. Raw ground elk game meat: This food is low in carbohydrate, total dietary fiber and total sugars but Raw ground elk game meat has protein and zinc in high quantity. Raw ground deer game meat: This food has a low quantiti of carbohydrate, total dietary fiber and total sugars but has a high quantity of protein, zinc and thiamin.